Thailand, previously named Siam from 1945-1949, is located in Southeast Asia. Situated in the middle of the Indochina peninsula, Thailand is the 20th most populous country with a total 2014 population of around 67,200,000 residents (based upon a 2013 estimate considering latest census data and the population growth rate of a little over 0.5%). Thailand is the only country in Southeast Asia that was not colonized by the Europeans. Consequently, it played the role of a buffer state between the areas in Southeast Asia that had been colonized by the British Empire or the French. Its Head of State, King Rama IX, is the longest-reigning head of state and monarch in Thai history. Thailand’s main ethnic group is Thai, with a total of 96% of the population. This includes the native people of Thailand, and Thai/Chinese people. Widely considered the first Thai state, Sukhothai was founded in 1238. 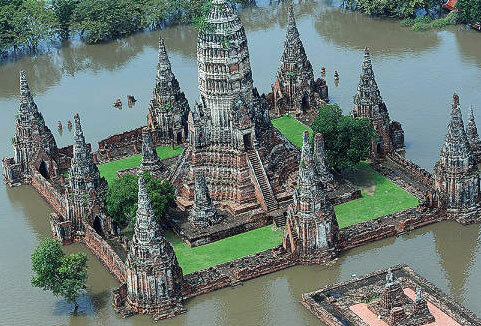 Although this Buddhist kingdom was growing somewhat rapidly during the 13th-15th centuries, it was later overpowered by the kingdom of Ayutthaya, founded in the 14th century. In 1431, Ayutthaya invaded Angkor and forced the Khmer to abandon the city. Ayutthaya eventually became the one of the biggest trading centers in Asia, and frequently traded goods with its neighbor states. In 1767, the Burmese people caused the fall of the Ayutthaya kingdom. The absolute monarchy of Thailand was ended in 1932, when King Prajadhipok was forced to grant his citizens their first constitution. During World War II, after a battle with the Thai army that lasted around eight hours, Japanese troops were granted passage across Thailand to Malayan lands. On the 21st of December, in 1941, Thailand and Japan formed an alliance that held a secret protocol in which Tokyo agreed to assist Thailand in regaining the Thai territories lost to the British and French forces. Shortly thereafter, on January 25th, 1943, Thailand declared war on the United Kingdom and United States. Thailand sought to assist Japan in its war against the allies, while at the same time maintaining the Seri Thai, an anti-Japanese movement. Thailand emerged from the war as a US ally, and later underwent many decades of political instability. Thailand eventually regained control in the 1980s. 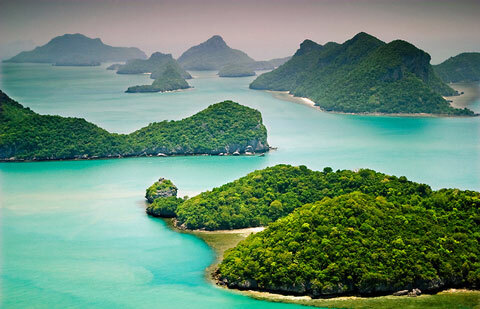 A bit larger than Spain, Thailand is the world’s 51st largest country at 198,120 square miles. The highest point in the country is Doi Inthanon, a part of the Thanon Thong Chai Range in north Thailand, at 8,415 feet above sea level. The Khorat Plateau, in the northeast of the country, is bordered by the Mekong River in the east. The Chao Phraya river valley runs into the Gulf of Thailand, in the center of the country. It is one of the sustainable resources of Thailand, as is the Mekong River. As well as being an industrial center of Thailand, the Gulf of Thailand is a big hit with tourists, as it boasts beautiful beaches and clear, shallow water. The Southern area of Thailand holds the Kra Isthmus that later widens out into the Malay Peninsula. With the most luxurious hotels of Asia surrounding its waters, the Andaman Sea is widely regarded as the most precious natural resource of Thailand. The tropical climate of Thailand owes itself to the large quantities of monsoonal rains throughout the seasons. The education systems of Thailand are quite successful, and the country boasts a high level of literacy. Children are required by law to attend school up to the age of 14, although free schooling is provided up until the child is 17. One educational matter that could use some work is that of establishing acceptable curricula for the primary and secondary schools. The approved curricula changes so quickly that often times, teachers do not even know what they are supposed to be teaching the students. Approved textbooks cannot be written and published quickly enough to ease the troubles. Despite all of this, the education of Thailand has seen major improvements since 2001, and the average IQ has now risen to around 98.59, depending on the area of the country. Thailand’s economy, which is heavily reliant on exporting goods, boasted a growth rate of 12.4% annually between 1985 and 1996, which is the highest the world has ever recorded. 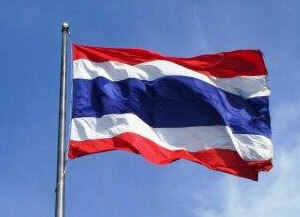 Thailand is the 4th richest nation of Southeast Asia, and boasts the 2nd largest economy of Southeast Asia. Thailand’s exports increasingly raise in value, and is currently at $105 billion annually. The major exports in 2013 are rice, cars, rubber, jewelry, textiles and footwear, electrical appliances and cars. At a rate of over 6.5 million tons annually, Thailand is the world’s largest exporter of rice, making it the country’s most important crop. 49% of the labor force of Thailand is employed in agriculture. Largely due to the country’s adopting more industrialized farming methods, the agricultural employment level has dropped to 21% of the population since 1980. The national currency of Thailand is the Baht (฿). Thai culture places great importance on the family, in which children are taught to always honor and obey their parents. Courtesy in all its forms is highly important; being polite and respectful with others while at all times remaining in control. Angry confrontations are completely unacceptable and actually viewed as violence. This is due in large part to the effects of their Buddhist religion which is practiced by over 90% of the population. Buddhism teaches the belief of reincarnation whereby a person has many lives based upon the lessons learned in previous lives. Other Christian religions do practice in Thailand. For instance, the 2013 Yearbook of Jehovah’s Witnesses states that over 3,600 of their members worship there. The main language spoken in Thailand is, of course, Thai. The Thai language has 44 consonants in the syllabic writing system and includes many words from the Pali, Old Khmer and Sanskrit languages. Other moden languages spoken in Thailand include Malay, Lao, Chinese and English. In 2013, English is increasingly being taught in schools and universities and is widely used in business and commerce. This makes communication for English-speaking tourists with the Thai population much easier. Top tourists destinations in the Land of the Smile continue to be Bangkok (the Gateway to Southeast Asia), Phuket, Ko Tarutao, Ayuthaya Historical Park, Ko Chang (2nd largest island in Thailand, bordering Cambodia), Phang Nga Bay, the Grand Palace of Bangkok, the Similan Islands in the western Andaman Sea (best diving in Thailand and possibly the world), Chiang Mai Night Bazaar, Railay Beach (or Rai Leh) with its cliffs overhanging the tropical sea, Koh Tao (Turtle Island) which is another top SCUBA diving destination, and the most recent are the Phi Phi islands (including Ko Phi Phi, Phi Phi Ley, Maya Beach and Monkey Beach) which has exploded onto the tourism scene for good reason. We will be publishing more fun facts about Thailand as well as why you should visit this beautiful island nation soon in 2016!